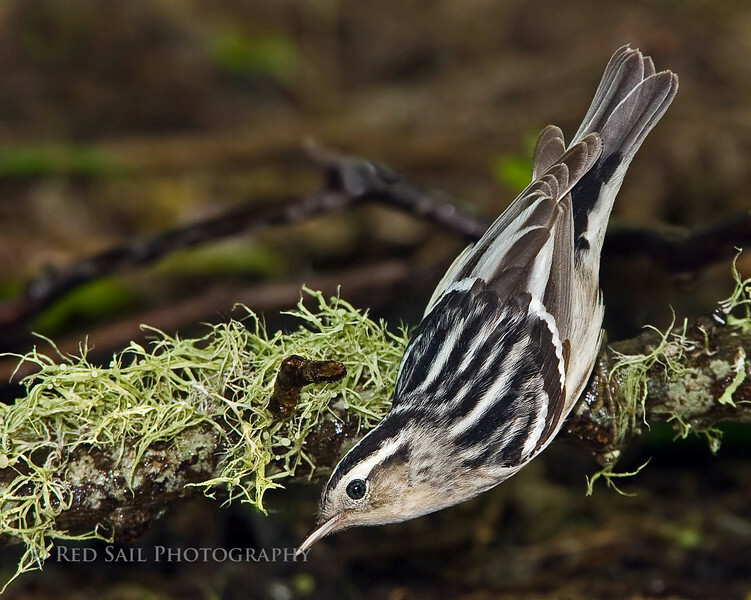 Black and White Warbler (Mniotilta varia). Image taken at the High Island Texas, Houston Audubon Society facility during migration. Marvelous capture, so sharp and vibrant. It's almost time for warblers again, can't wait. The detail in her iris is especially beautiful.